Myrna Loy and William Powell co-starred in thirteen films, and they are by far most popular for playing the adorably debauched Nora and Nick Charles in the Thin Man series. While this is understandable, the pair create the most effervescent of screen couples as hard-drinking, merry spouses, it is a shame that the rest of their efforts have fallen aside as a result. Almost all of their pairings are satisfying entertainment and many are as worthy of classic status as those famous mysteries. This pair of flicks now on DVD from Warner Archive provides two solid examples of their best non-series work. 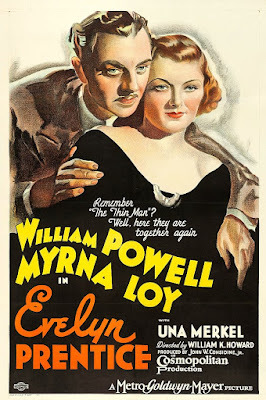 So much of the success of this society murder drama depends on the appeal of Loy and Powell. It could have come off a bit creaky had it been made a few years earlier and with less adorable leads. As it is, it isn’t one of the best of their pairings, but it is solidly engrossing and much helped by the glamorous clothes, clubs and fancy parties that form their milieu. Loy is the titular society wife of a busy lawyer. Though deeply in love with her husband, she never sees him and soon finds herself in too deep with a flirtatious, but dangerous writer. Mr. Prentice is not much better, briefly giving in to the advances of an emotionally fragile client, who is played by Rosalind Russell with unnerving gravity and banality given how she would later sparkle in even the darkest of roles. Una Merkel is perfect as Loy’s best friend, really the only actress who could go from goofy to gravely serious with such ease as she does here. In a wonderfully tense courtroom scene Isabell Jewell is remarkably effective as one of Powell’s clients. There are so many times that she could have gone over the top, but she instead maintains a marvelous tension that ebbs and flows in a monologue in which she almost steals the film. Special features on the disc include the comedy short Goofy Movies #3, the cartoon The Discontented Canary and a theatrical trailer. 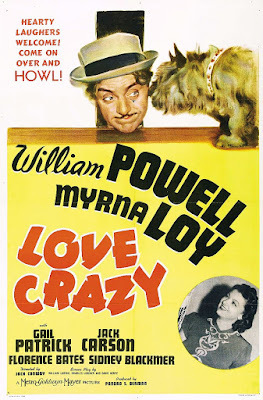 While Loy and Powell are charming and romantic in all of their films together, I think this is their sexiest pairing. They are so erotically in sync with each other that you almost feel guilty intruding on their time alone together. As an eccentric couple celebrating their fourth wedding anniversary, they so clearly still have honeymoon-caliber hots for each other that you’d think nothing could drive them apart. Instead, they spend the entire film being pulled apart for the silliest reasons and making great comedy in the process. I watched this with a packed house at the TCM Classic Film Festival and it was clear the crowd felt itself in the presence of a classic. Perhaps the larger success of the Thin Man series has overshadowed it to a degree, but there’s really no good reason this funny flick isn’t better known. 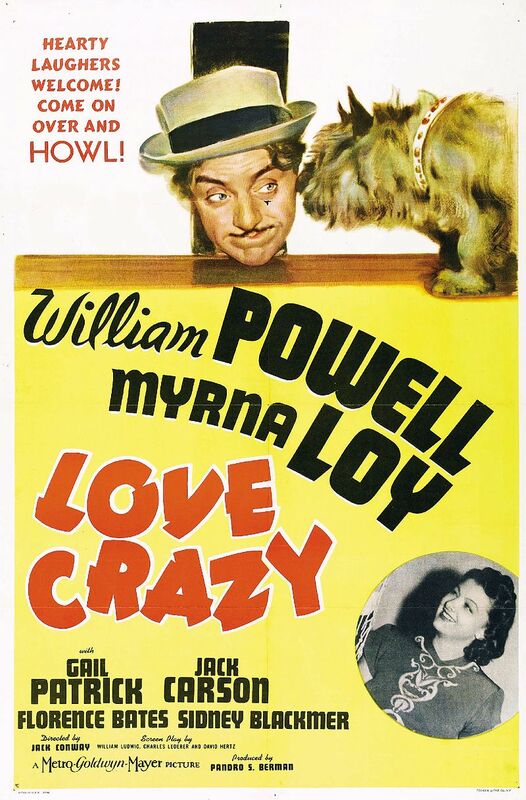 The giddily balanced mix of sharp wordplay and physical humor are the most adventurous of the Loy and Powell films and the risks it takes pay off. The supporting cast is full of marvelous troublemakers. Florence Bates is a nightmare as Loy’s clueless mother, who thinks nothing of crashing and ruining her daughter’s anniversary dinner. Gail Patrick is predictably slippery as Powell’s former and still interested lover and Jack Carson is amusingly brash as the alliteratively ridiculous Ward Willoughby. The title is appropriate, because this crew gets increasingly wilder, topping itself with new absurdities until the very end. Special features include the cartoon The Alley Cat, a Screen Directors Guild Playhouse Radio Broadcast of the story and a theatrical trailer.